I have been very busy today preparing for my holiday, I leave on Friday! I have another instalment of my ‘Holiday Hotlist’ feature. Today I am focusing on the essentials. 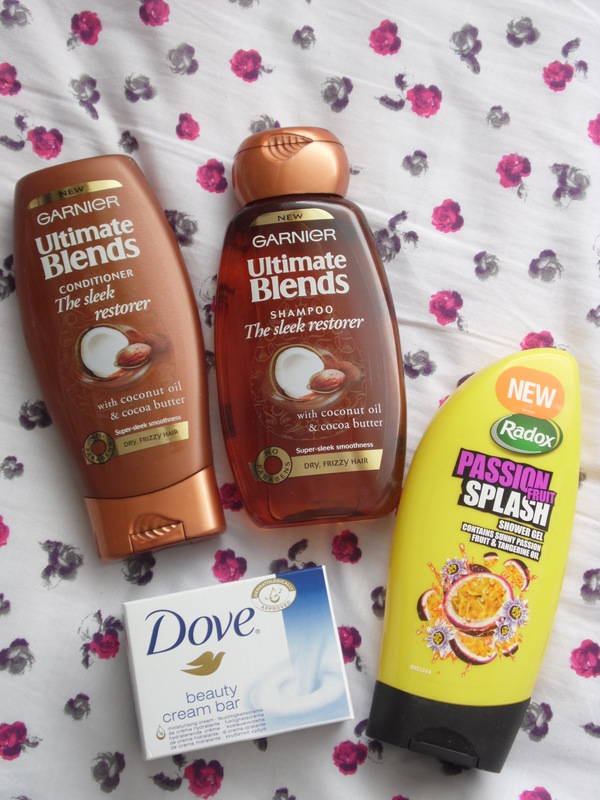 If you haven’t tried Garnier’s range of Ultimate Blends Shampoo & Conditioner yet then you must. My favourite from the range is the Coconut Oil & Cocoa Butter The Sleek Restorer. This particular range is for Dry & Frizzy hair. The lather on the shampoo is amazing & the smell is divine. I also love the conditioner it feels so nourishing for my hair. These will be perfect for holiday. Another product that will be ideal for our holiday is the tropical scent of Radox Passion Fruit Splash Shower Gel. I love the fruity smell of this shower gel, it is so invigorating. The next product on my hotlist is a beauty essential that I just could not live without, Dove Beauty Cream Bar. My Mum swears by this soap & it quickly became my favourite. This soap is so gentle & so nourishing, my skin always feels amazing after using this. Now for the Sun Care! I have chosen Ambre Solaire Golden Protect Sun Lotion. This has a shimmer effect which I am hoping will look nice on tanned skin. I have also picked up Hawaiian Tropic After Sun. 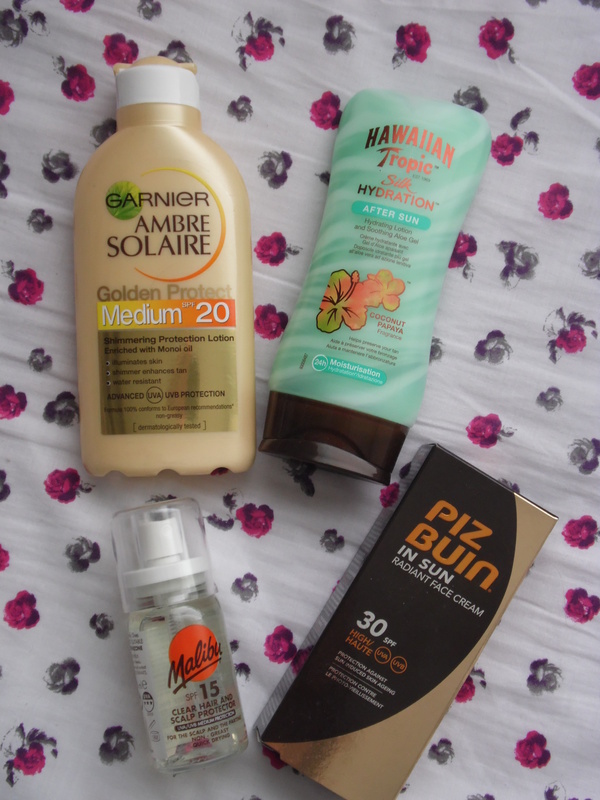 I am a huge fan of Hawaiian Tropic & have also purchased the Dark Tanning Oil. I love the smell of coconut & it also smells of papaya for a totally tropical scent. Next I have a Piz Buin Face Cream, protecting your face is a must. Finally a Malibu Head & Scalp Spray. I always burn my head were my parting is so this is a must.